Stately and refined, this design radiates with distinction. 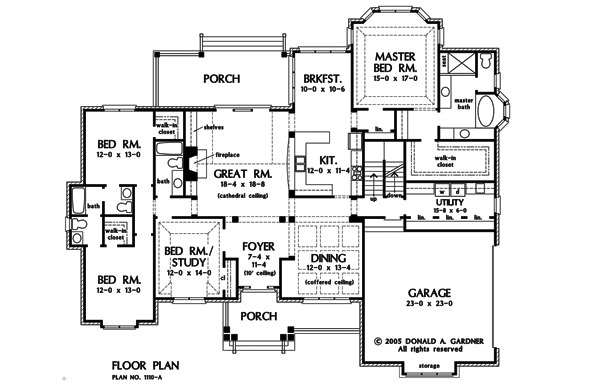 From a dynamic exterior to the sprawling interior, this floor plan is filled with exciting extras and detailed elegance. Featuring a bay window, tray ceiling and separate dressing area, the master bedroom promotes relaxation in an intimate living area. The master bath includes a privy and a bay window that frames the garden tub, while an expansive walk-in closet provides abundant storage space. Coffered ceilings crown the dining room that includes a buffet niche for easy entertaining. The great room features a fireplace, vaulted ceiling and an impressive view onto the back porch. 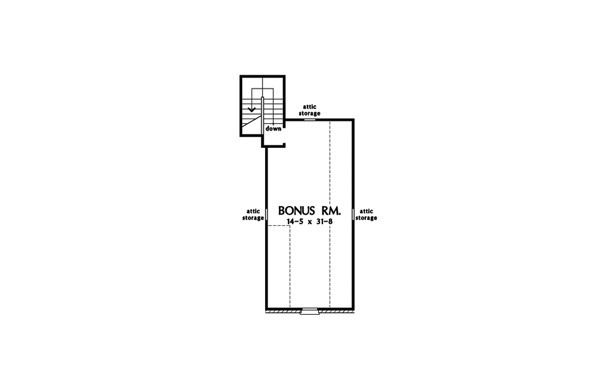 The flexible floor plan includes a study/bedroom for extra houseguests or workstation. 1st Floor: 2820 Sq. 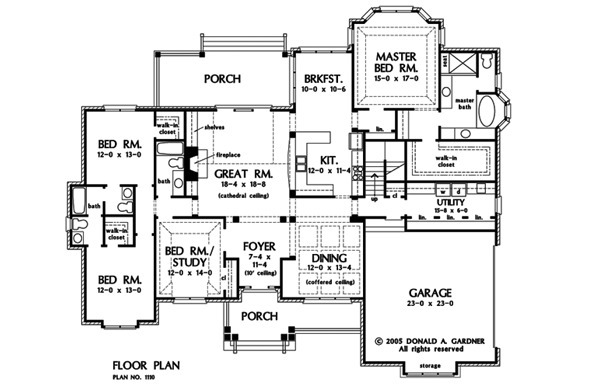 Ft.
House Dimensions: 78' 1" x 65' 5"
Great Room: 18' 4" x 18' 8"
Foyer : 7' 4" x 11' 4" x 10' 0"
Dining Room (Other): 12' 0" x 13' 4" x 11' 0"
Great Room (Vaulted): 18' 4" x 18' 8" x 17' 8"
Kitchen : 12' 0" x 11' 4" x 9' 0"
Breakfast Room : 10' 0" x 10' 6" x 9' 0"
Utility Room : 15' 8" x 6' 0" x 8' 3"
Bonus Room : 14' 5" x 31' 8" x 9' 0"
Master Bedroom (Tray): 15' 0" x 15' 0" x 10' 6"
Bedroom / Study (Tray): 12' 0" x 14' 0" x 11' 0"
Porch - Front : 24' 3" x 5' 10" x 7' 0"
Porch - Rear : 24' 3" x 9' 9" x 0' 0"